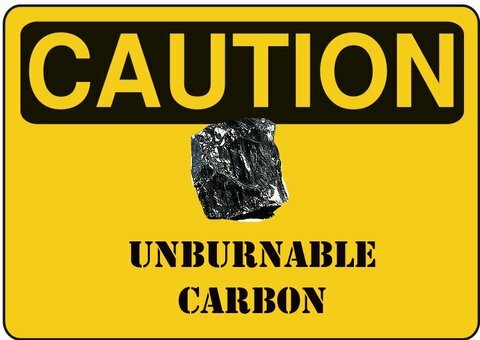 A carbon bubble is the idea that there is a bubble in valuation of companies related to fossil-fuel-based energy production. This is because true costs of carbon dioxide in intensifying global warming are not taken into account in a company’s stock market valuation. Currently the price of fossil fuels companies shares is calculated under the assumption that all fossil fuel reserves will be consumed. Author Bill McKibben has estimated that to sustain human life in the world, up to $20tn worth of fossil fuel reserves will need to remain in the ground. The Stern report in 2006 stated that the benefits of strong, early action to decrease the use of oil, coal and gas considerably outweigh the costs. Fossil fuel contributors, the building industry, and land use practices ignore the responsibility of the external costs and ignore the polluter pays principle according to which climate change costs will be paid by historical climate polluters. Some say that the companies should be forced to show their green gas emissions and then calculate the risk it poses, however, many firms do not feel threatened by carbon bubble argument. They acknowledge the climate change but at the moment Carbon Bubble poses no threat to them. If you apply the Carbon Bubble theory and strictly implement all the anti pollution policies, the firms market share would rapidly go out because if their reserve of fossil fuel is not used then they are over valued. It poses serious threat to the country’s economy too. Bank of England investigated the risk of Carbon Bubble. They inquired a possible economic crash if the climate change rules ever came into use. Maybe that’s why some countries are reluctant to implement strict Climate change policies. It’s interesting that if you read this article on the “the Guardian’, someone mentioned in the ‘Comments Section’ that even if the country never implement strict climate change policies, they still will eventually have an economic crash. Another report says the same if we implement such policies, there will be world economic crash. We will lose trillion of dollars in business. Stern said that far from reducing efforts to develop fossil fuels, the top 200 companies spent $674bn (£441bn) in 2012 to find and exploit even more new resources, a sum equivalent to 1% of global GDP, which could end up as “stranded” or valueless assets. HSBC warned that 40-60% of the market capitalisation of oil and gas companies was at risk from the carbon bubble, with the top 200 fossil fuel companies alone having a current value of $4tn, along with $1.5tn debt.